Phosphorescence is the phenomenon of radiative emission by some materials/substances as a result of the absorption of energy through ultraviolet rays (very energetic) and the subsequent re-emission in the form of visible light (at lower energy). Phosphorescent materials continue to emit light up to many hours after the end of external illumination. When all the stored energy is exhausted, the material no longer emits light. 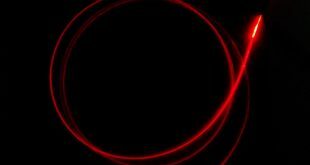 Radiative emission derives from the decay of electrons at quantum levels of lower energy. 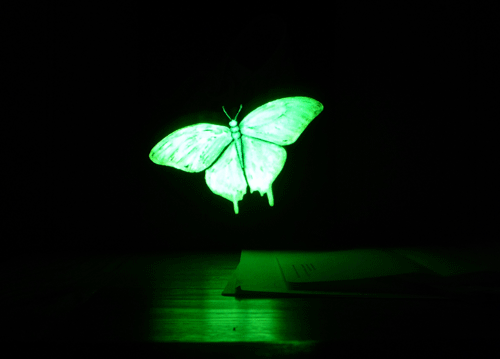 It differs from fluorescence because in the latter the effect is immediate and stops as soon as the energy source is interrupted, while in the phosphorescence the effect continues even after. The principle, simplified, is the same: a source of energy, usually composed of visible light or ultraviolet radiation, excites atoms, pushing some electrons to external orbitals. When these return to the inner orbital they emit light. This phenomenon occurs because the electrons present in the fundamental level pass, by the action of an exciting source, which can be, for example, a photon, at a singlet higher level. Subsequently, in addition to other phenomena of non-radiative decay, the return to the stable fundamental state with radiant emission can occur essentially in two ways: a singlet-singlet conversion or, alternatively, a transition to a triplet configuration through an internal conversion and the subsequent decay at the fundamental state of singlet. In the first case there is fluorescent emission while in the second one the phenomenon of phosphorescent emission occurs. The decay that produces phosphorescence is temporally longer (10−3 s vs 10−9-10−12 s) than fluorescence: the phosphorescence follows with a certain delay the excitation and lasts a few minutes further. This slowness is due to the fact that the transition from triplet to singlet is theoretically forbidden by the selection rules. This apparent contradiction is justified by the spin-orbit interaction that allows the emission to occur. The diagram below exemplifies the fluorescence and phosphorescence mechanisms. 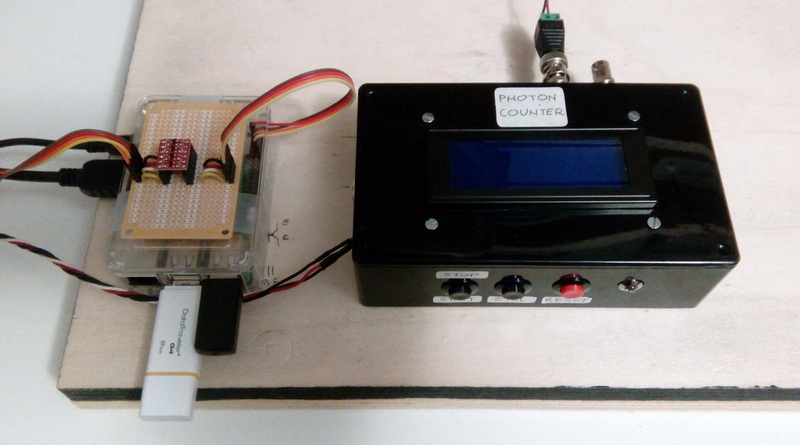 The experimental setup for phosphorescence measurements is mainly based on the photon counter already described in the posts: PSoC based Photon Counter, Photon Counting & Statistics. The PMT is placed in a “dark box”, together with the laser for excitation, as seen in the image below. At the entrance of the PMT a filter can be placed to eliminate the light component due to the excitation source. 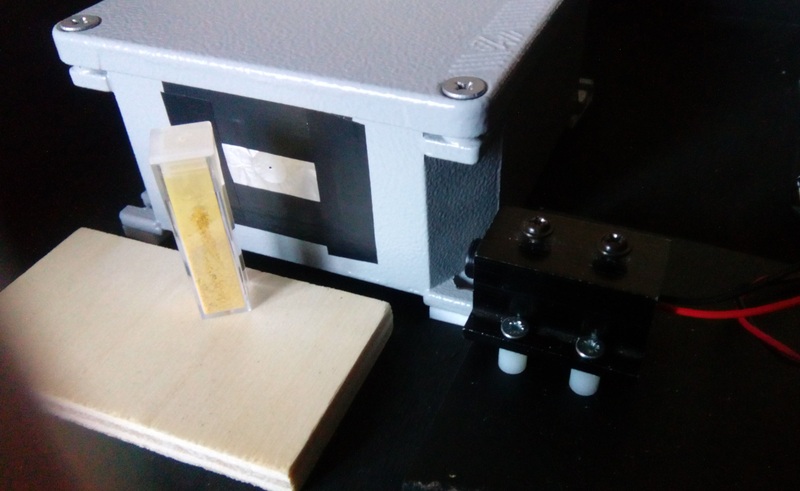 PMT and excitation laser are positioned orthogonal to each other, the sample to be examined is placed in front of the PMT so that the phosphorescence is captured by the PMT and so that the sample is well illuminated by the excitation laser pulse. The image below shows the layout. The light pulse for excitation of the phosphorescence is obtained with a diode laser emitting at 405 nm. 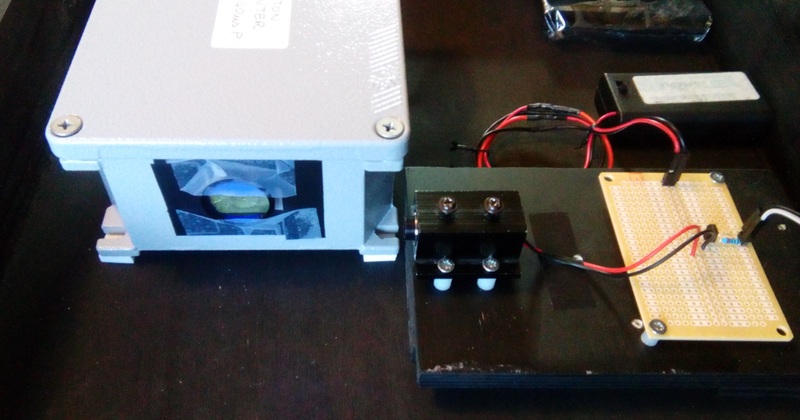 The laser is operated for a pulse lasting 10 ms (driven directly by the “photon counter” electronic module). The image below shows the basic scheme of the “phosphorimeter”. In the images below you can see the setup we used for the actual measurement of the laser pulse. We used a photodiode optical sensor coupled with a fast trans-impedance amplifier. 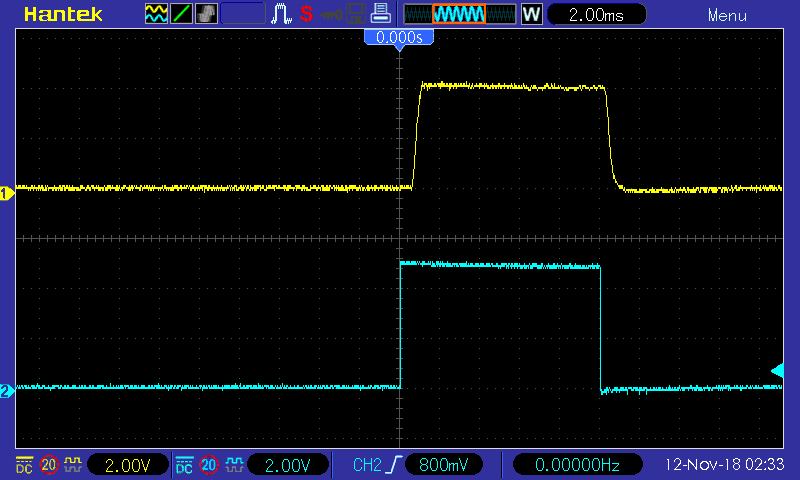 In the oscilloscope trace, there is the driving pulse in blue and the actual laser pulse in yellow. The pulses produced by the PMT are acquired by the Photon Counter, which is operated in the time gated counter mode. In practice, the pulses received are counted within a time window determined by a gate pulse, the count being repeated with the frequency of the gate signal. 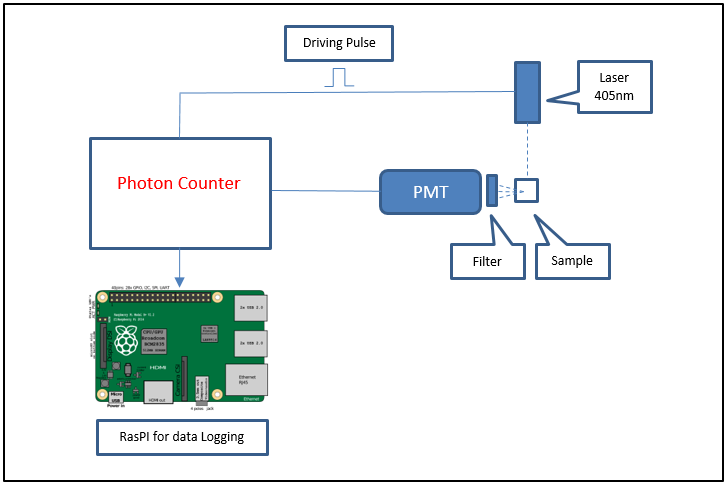 The graph below shows the laser pulse measure with the time gated photon counter. The results of the counts are transmitted to a RaspberryPI which stores them on file. Strontium aluminate (SRA, SrAl, SrAl2O4) is a solid odorless, nonflammable, pale yellow, monoclinic crystalline powder, heavier than water. 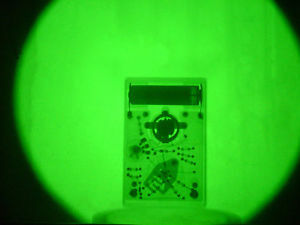 When activated with a suitable dopant (Europium or Dysprosium), it acts as a photoluminescent phosphor with long persistence of phosphorescence. 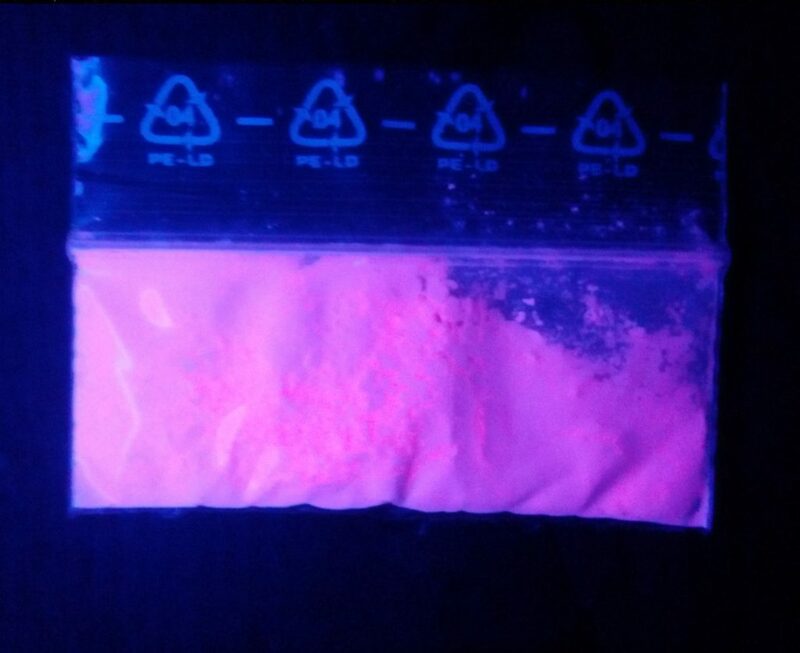 For many phosphorescent-based purposes, strontium aluminate is a vastly superior phosphor to its predecessor, copper-activated zinc sulfide; it is about 10 times brighter and 10 times longer glowing, however it is about 10 times more expensive than Cu:ZnS. Strontium aluminate phosphors produce green and aqua hues, where green gives the highest brightness and aqua the longest glow time. The excitation wavelengths for strontium aluminate range from 200 to 450 nm. The wavelength for its green formulation is 520 nm, its aqua, or blue-green, version emits at 505 nm, and the blue one emits at 490 nm. Strontium aluminate can be formulated to phosphoresce at longer (yellow to red) wavelengths as well, though such emission is often dimmer than that of more common phosphorescence at shorter wavelengths. The following image shows the luminescence spectrum for this phosphorus. Phosphorescence measurements were made with a cuvette filled with strontium aluminate powder, as shown in the image above. The samples were acquired with a pulse counting window (Gate) equal to 1 ms and with a repetition frequency of 1 sample every second. The results are shown in the graph below, in which we can see the long persistence of luminescence. 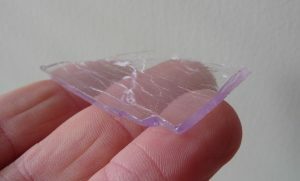 Intensifying screens are used in the x-ray cassette to intensify the effect of the x-ray photon by producing a larger number of light photons. It decreases the mAs required to produce a particular density and hence decreases the patient dose significantly. In cassettes, which use double emulsion films, two screens are used, mounted on both sides of the cassette. The phosphor absorbs the x-ray photon and converts it to visible light. Example of materials are : calcium tungstate (CaWO4), lanthanum oxybromide (LaOBr), gadolinium oxysulfide (Gd2O2S). The samples were acquired with a pulse counting window (Gate) equal to 10 ms and with a repetition frequency of 100 Hz. The results are shown in the graph below. Uranium glass is glass which has had uranium, usually in oxide diuranate form, added to a glass mix before melting for coloration. The proportion usually varies from trace levels to about 2% uranium by weight, although some 20th-century pieces were made with up to 25% uranium. Uranium glass was once made into tableware and household items, but fell out of widespread use when the availability of uranium to most industries was sharply curtailed during the Cold War in the 1940s to 1990s. Most such objects are now considered antiques or retro-era collectibles, although there has been a minor revival in art glassware. Otherwise, modern uranium glass is now mainly limited to small objects like beads or marbles as scientific or decorative novelties. The normal colour of uranium glass ranges from yellow to green depending on the oxidation state and concentration of the metal ions, although this may be altered by the addition of other elements as glass colorants. Uranium glass also fluoresces bright green under ultraviolet light and can register above background radiation on a sufficiently sensitive Geiger counter, although most pieces of uranium glass are considered to be harmless and only negligibly radioactive. 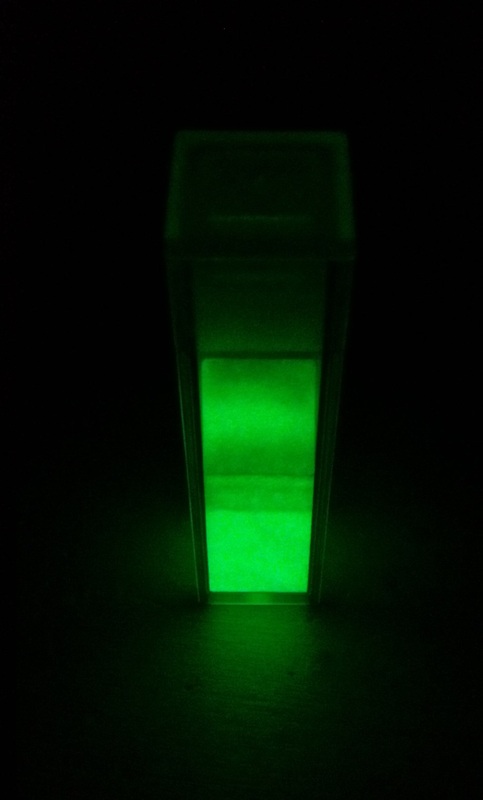 The following image shows the luminescence spectrum of uranium glass, in which the signal due to the excitation laser is also noted. The image above shows the glass bead subjected to phosphorescence measurement. In the image on the left the excitation laser is off, while in the image on the right the laser is on and “illuminates” the glass bead: you can see the strong fluorescent emission. Once the excitation laser is switched off the luminescence continues for some moments assuming phosphorescence characteristics. The samples were acquired with a pulse counting window (Gate) equal to 10 ms and with a repetition frequency of 100 Hz. The results are shown in the graph below. The following image shows the luminescence spectrum of europium oxide, mainly in the red part of the visible spectrum. Phosphorescence measurements were made with a cuvette filled with europium oxide powder. The samples were acquired with a pulse counting window (Gate) equal to 1 ms and with a repetition frequency of 100 Hz. The results are shown in the graph below. Spodumene – Kunzite is a pyroxene mineral consisting of lithium aluminium inosilicate, LiAl(SiO3)2, and is a source of lithium. It occurs as colorless to yellowish, purplish, or lilac kunzite (see aside), yellowish-green or emerald-green hiddenite, prismatic crystals, often of great size. The measure were acquired with a pulse counting window (Gate) equal to 5 ms and with a repetition frequency of 100 Hz. The results are shown in the graph below. Calcite is transparent to opaque and may occasionally show phosphorescence or fluorescence. 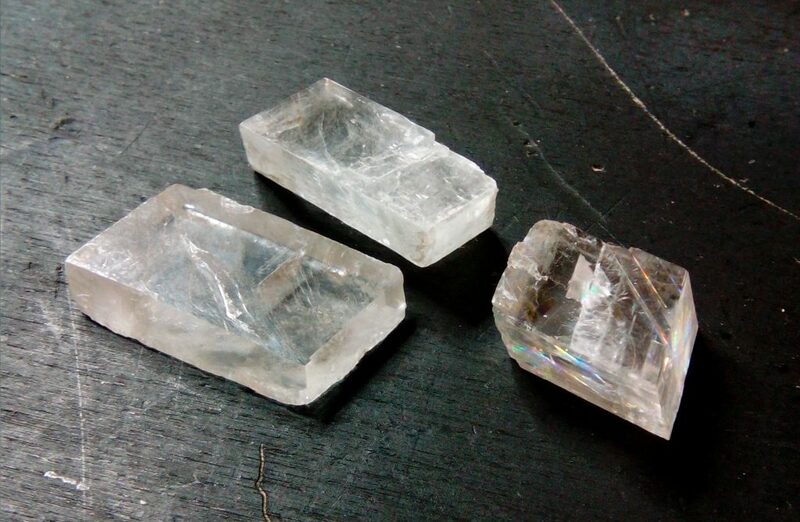 A transparent variety called Iceland spar is used for optical purposes. The measure were acquired with a pulse counting window (Gate) equal to 1 ms and with a repetition frequency of 500 Hz. The results are shown in the graph below.